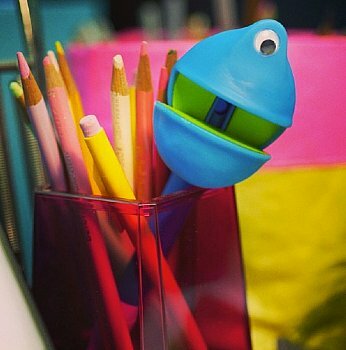 Exercise your "writeâ€� to be silly with a mini Puppet-on-a-Pen complete with movable mouths! 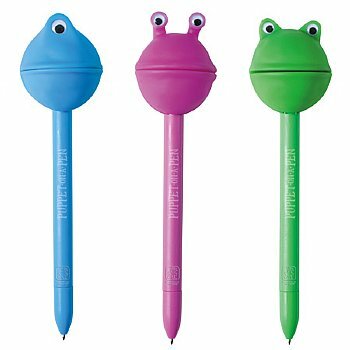 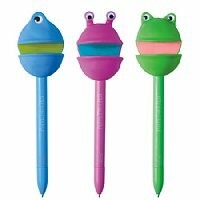 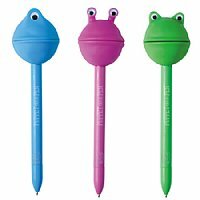 These Puppets-on-a-Pen are sold individually in purple, blue and green. 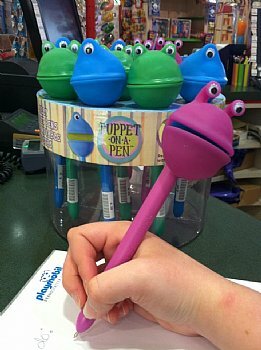 The Puppet-on-a-Pen has a movable mouth and retractable black ink.